If you have questions like that, you can find out the answer on this article! Part 2: Will Private Number Lead to Privacy Leaks? Having a private cell phone number is useful in many different ways, but there may be circumstances in which you want your phone number to appear. For instance if you are calling a higher up about a job you desire, you would want to give them an easy way to call you back. In order to make this possible again repeat the same process. Scroll through the selections that are available until you find, ‘Show My Caller ID’, select that option. Then move the toggle button to the on position. This will make it so your number will be non-private for any length of time, until you decide there is a need for it to be hidden again. Part 2. Will Private Number Lead to Privacy Leaks? Have you ever thought about that the private number you deleted on your iPhone can be recovered again? This means that someone else can easily access your number with some sort of recovery technology or software. So how to take off private number on iPhone to prevent from privacy leaks can certainly be a daunting task. 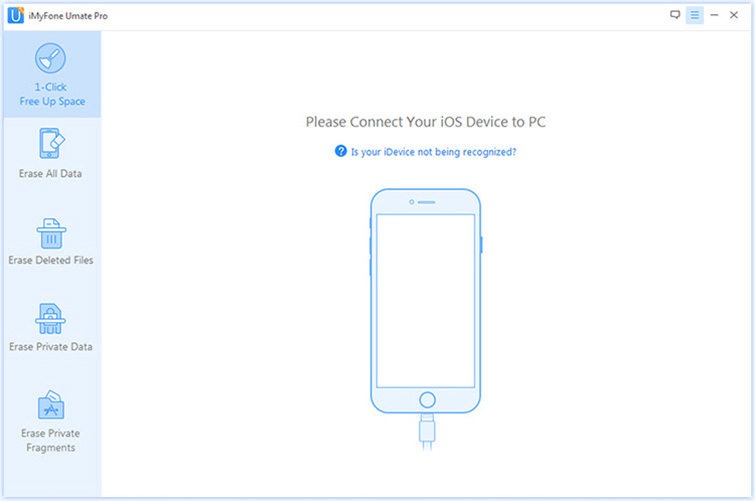 However, luckily there is a better way, iMyFone Umate Pro for Windows or iMyFone Umate Pro for Mac . It is great if you need to sell your phone at any point and have used a private number for that particular phone. This will make it so the floating is not out there to be found. You don’t want someone knowing your private information, deleting the data is the best way to ensure your privacy is not invaded. 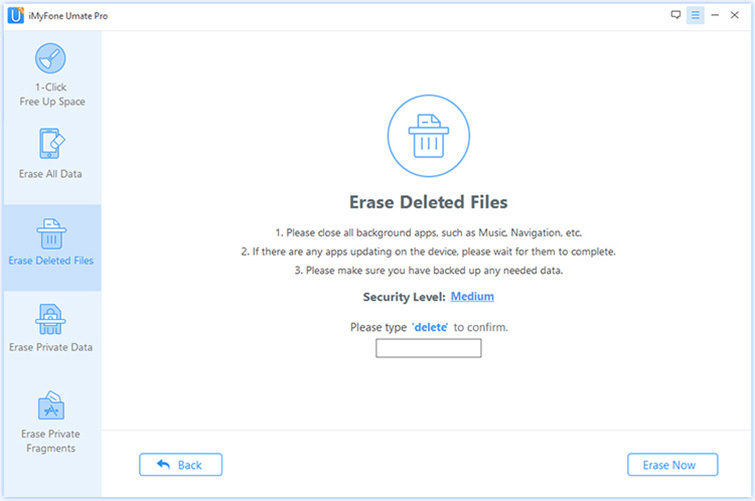 Note: You can choose either Erase Private Data or Erase Deleted Files, for they both can help with your privacy. Here let’s take Erase Deleted Files as an example. Click "Scan" and then iMyFone Umate Pro will start to scan the device and list all of the deleted files. This process would take several minutes. 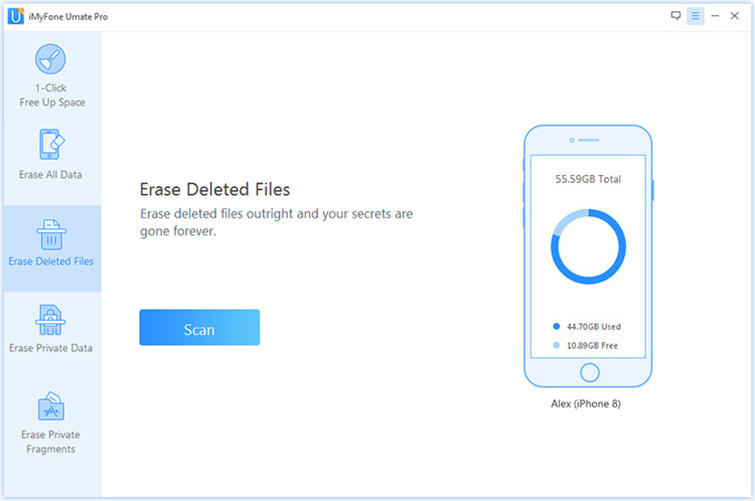 After the scanning process is finished, it will list all the deleted files including your private number. You can preview and tick off the file types which you want to erase in the box. Then click "Erase Now" button. Private number is when you set your phone number as a private number it will show “Private” on the phone screen, which is primarily for privacy and security concerns. With a private cell phone number, not only will you keep your cell phone number from getting to telemarketers; you also keep people from getting it who you don’t want to have it. Say you have to call a co-worker who you really don’t like. Just set your number as private so they cannot call you back. Having a private number on an iPhone, keeps your phone number from showing up when you make a phone call. Using a private number makes it so when you call someone all they see when they receive the call is the word, ‘Private’. To make your iPhone a private number first go to ‘Settings’ on your iPhone. Then scroll down through the selections to ‘Phone’ . Click on phone and you will be taken to another screen where you will scroll down slightly. There should be a ‘Show My Caller ID’ selection with an arrow. 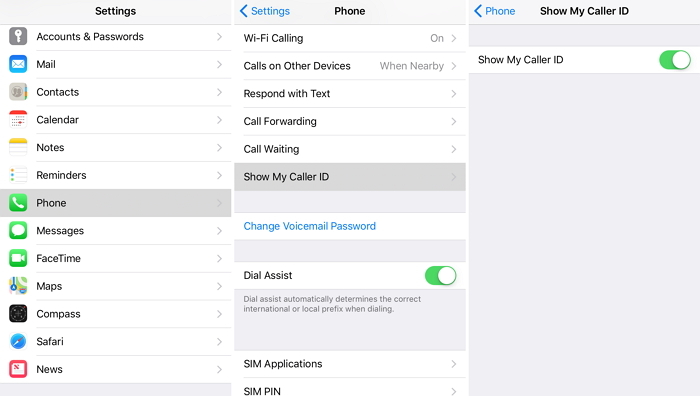 This will take you to another screen with ‘Show My Caller ID’ on it, use the toggle button next to it and merely slide it to off. If you have problem like how to take off private number on iPhone permanently, iMyFone can help you. 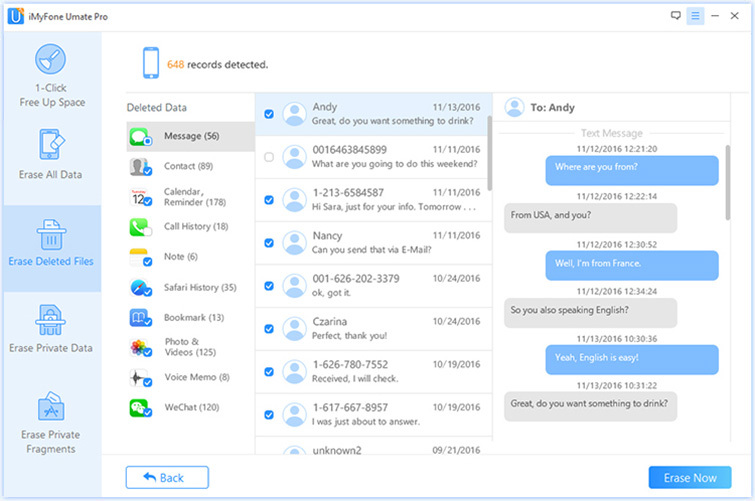 iMyFone Umate Pro or Umate Pro for Mac is technology which can be utilized to save space as well as to protect your information. This technology is convenient and easy to use. All you need to do is download it and let it find the files you need deleted. iMyFone is grateful for your business and would love to be contacted by you.